Boeing announced Wednesday as part of its quarterly earnings that it was increasing output from 2.5 to 3 767s each month. Boeing and supplier Spirit AeroSystems are in advanced evaluations to potentially ship structurally assembled 767 forward sections to Everett, Wash. for final assembly using the over-sized cargo hold of its ‘Dreamlifter’ 747 large cargo freighter, according to two people familiar with the planning. The goal is to shift the forward fuselage work into the supply chain to free up space in the factory to accommodate the higher output and the quicker tempo of production. The 767 forward fuselage section, also known as Section 41 (pictured above in green), are currently shipped in pieces by rail from Wichita, Kan. to Boeing in Washington state where they are built up into a complete barrel. The plan would mirror work Spirit already does for Boeing on the 787 program. Forward fuselages have been shipped by air to Boeing’s twin assembly lines from Wichita since 2007. Spirit would perform the structural assembly, not the systems integration, according to one of the people. The two people familiar with the planning say the shift isn’t finalized and while the move of work would shift build-up responsibility to Spirit, the evaluation comes as more 767 work may be set to return to Boeing with the increasing production, according to one of the people. Boeing spokesman Bernard Choi declined to comment on what it called “speculation.” Spirit AeroSystems did not immediately respond to a request for comment. 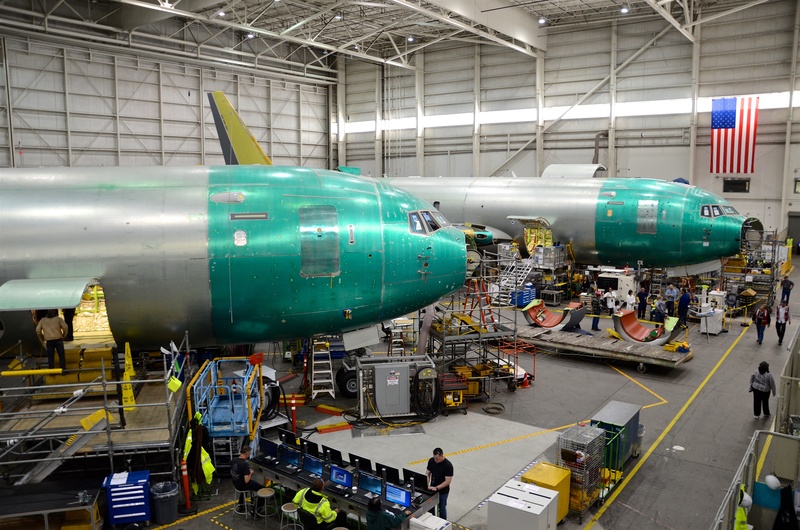 Boeing has already modified its factory setup to account for the increasing 767 freighter and KC-46 tanker production as the co-located 747-8 assembly slows down. 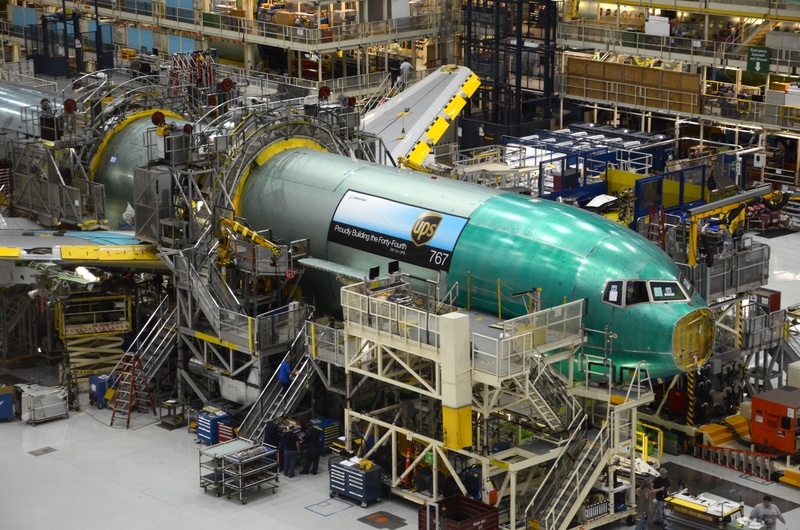 Boeing moved to a consolidated two-position final assembly line at the rear of the Everett factory in 2011 and later combined the two low-production twin-aisle programs in 2016 under a single management umbrella. The LCF was an expensive undertaking. A billion dollar aircraft development program inside the multi-billion dollar aircraft development program that created the 787 Dreamliner. Boeing’s global just-in-time supply chain spread across continents meant “an unbelievable amount of in-process inventory out bobbing around on the ocean,” according to former 787 program vice president Mike Bair. That was too risky and Boeing set out to replicate what Airbus had been doing with its ‘Beluga’ for a generation across all its commercial aircraft programs. But the Dreamlifter has been limited to work on the Dreamliner program in the nearly 12 years since it first flew. Using the modified 747 for a section of the 767 would give the unwieldy freighter a second job beyond hauling Japanese wings, Italian stabilizers and fuselages around the world to support 787 production. Boeing took a load off the LCF fleet of four by establishing the second 787 line in Charleston in 2009. Two fewer round trips to South Carolina hauling the midbody and aft sections of the 787 to final assembly in Everett, Wash. The company has tried to put the Dreamlifter to work beyond 787 before. 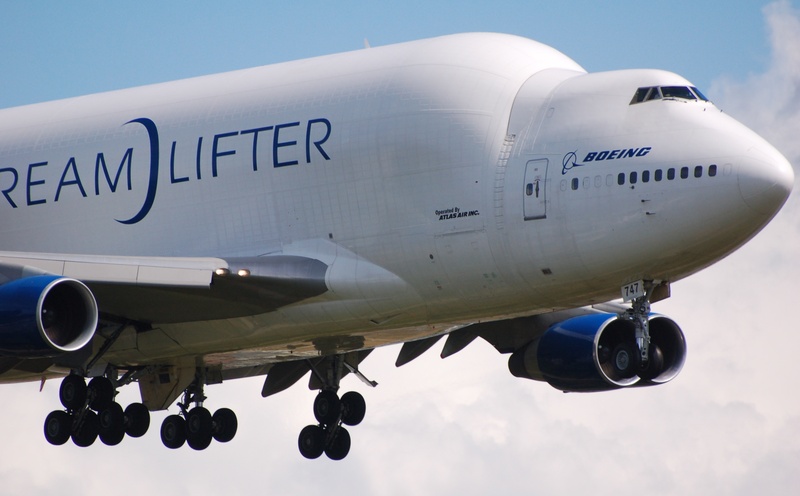 Boeing briefly kicked around the idea of using the LCF as a 16 person corporate shuttle on the lower deck between factory sites, but the FAA nixed the idea. Jon: Well done and good info. Any insight as to the desire for the threatened A330-900F and why a 767-400F would not work as well? Or why the 900F is desired when a 200F has a bit more capacity than the current 767? Ok, I’ll bite. Why the FAA turndown? Doesn’t it have a spotless safety record? How many jumpseats are there? Crewrest areas? Does it have a small seating section for relief crew, engineers, etc.? How do they get the 767 wings from Japan to Everett?